We’d love your help. 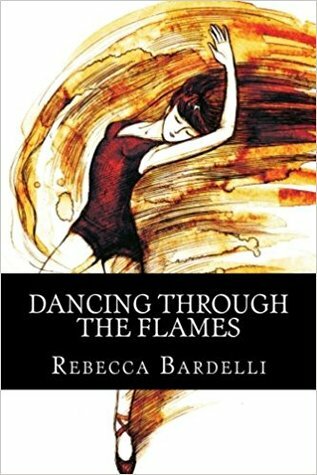 Let us know what’s wrong with this preview of Dancing Through the Flames by Rebecca Bardelli. To ask other readers questions about Dancing Through the Flames, please sign up. It was a moving journey as I moved from chapter to chapter. I could feel deeply what she had written, and I rejoiced as I neared the final selection of poems. This is a wonderful collection of poetry with a wide array of topics and emotions. Loved this from start to finish! Extremely well written poetry dealing with all manner of subjects without bashing your head in with. Flows perfectly, professionally done and with incredible front cover artwork that captures the words inside! A beautiful collection, a beautiful journey. I would recommend this book to anyone who enjoys beautifully written poetry that expresses the ups and downs and ultimate triumphs in life. I enjoyed dipping in and out of this beautifully evocative and mind-provoking book of poetry. I've marked it as read but to be quite honest I am still tempted to read through it again and browse and enjoy...this would make a lovely gift! Rebecca Bardelli, also known as Poetess a Becca by her social media fans, gives us a piece of herself with her debut book. She uses each line and verse to take us on a journey through the heart of a poet. I’ve long been a poetry fan, and I especially love poems that reach out from the page. In The Past, Becca does just that as she hits on those feelings of dread and the ache that comes with memories that just keep lingering. In Drought, there is a profound sadness that tugs at the gut. And beyond Rebecca Bardelli, also known as Poetess a Becca by her social media fans, gives us a piece of herself with her debut book. She uses each line and verse to take us on a journey through the heart of a poet. I’ve long been a poetry fan, and I especially love poems that reach out from the page. In The Past, Becca does just that as she hits on those feelings of dread and the ache that comes with memories that just keep lingering. In Drought, there is a profound sadness that tugs at the gut. And beyond the pain of her journey, past the dancing flames, she still leaves room for sections filled with hope. Rebecca has been writing poetry since she was a teenager, and her love for reading and writing poetry continues to this day. She writes poetry for many reasons. She writes to create. She writes to inspire. She writes to heal. She shares her poetry, prose and quotes on Instagram, Facebook and Twitter under the name Poetess Becca. You can also find her on Tumblr @poetessbeccaposts.